My name is Chin chin. I have a BS degree in food technology. I like to share important information about health and food-related topics. 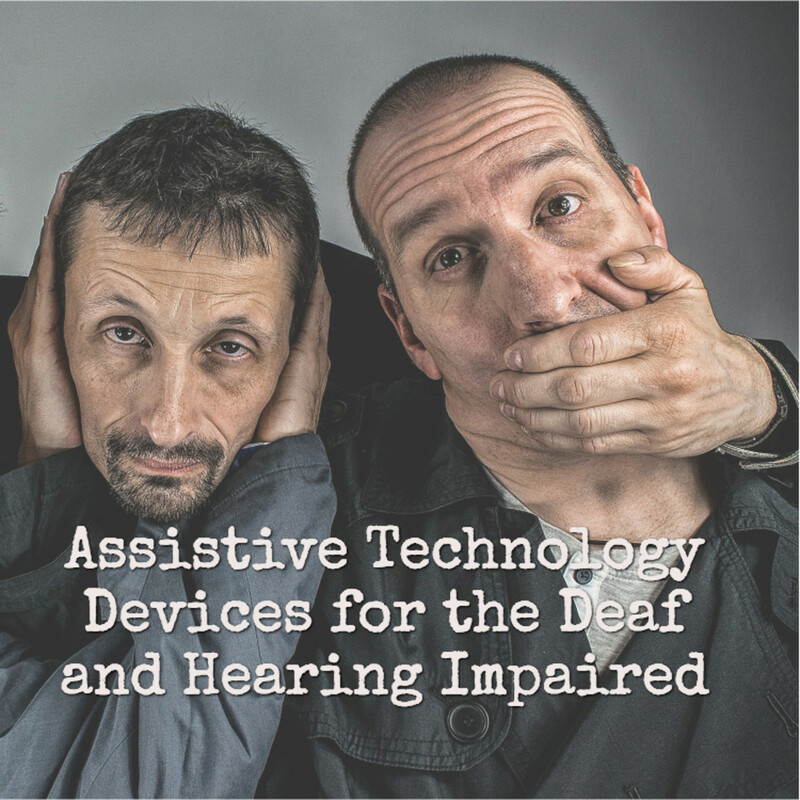 Due to technological advances in recent years, many auditory and non-auditory devices are available to help meet the communication needs of the deaf and the hearing impaired. 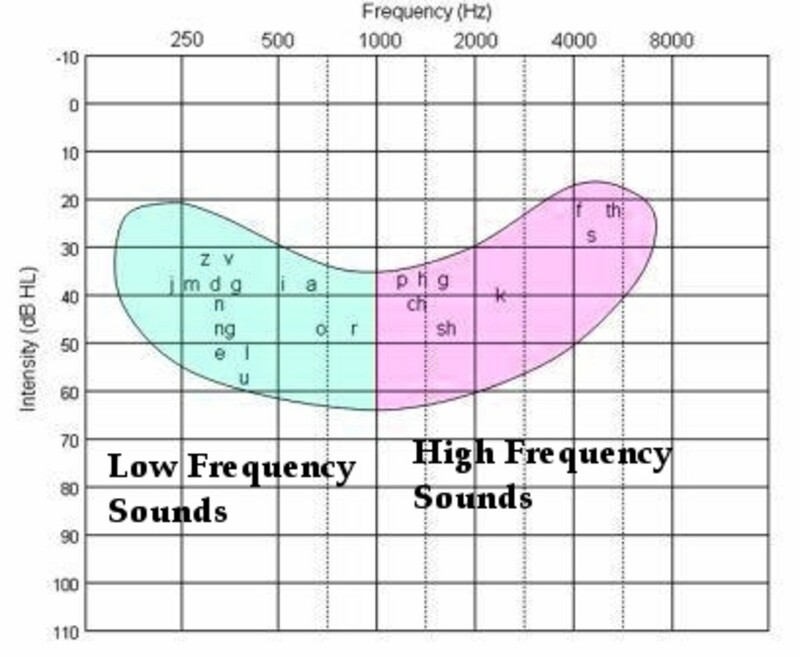 These devices are collectively known as assistive technology, assistive listening devices (ALDs), or hearing assistance technology (HAT) and help facilitate improved face-to-face communication, reception of electronic media, telephone reception, and reception of important warning sounds and situations. They are electronic devices typically worn inside or behind the ear that amplify sounds to help people who cannot hear well. These help them enjoy music, use the telephone and follow a conversation more easily. Hearing aids have four basic components. These are the (1) microphone which picks up the sound and converts it to an electronic signal; (2) amplifier which increases the strength of the signal; (3) receiver which is like a mini loudspeaker changing back the signal to sound inside the ear; and (4) battery which supplies the power for the functioning of the hearing aid. There are several styles of hearing aids available in the market today. The in-the-ear (ITE) style is the most commonly used style. 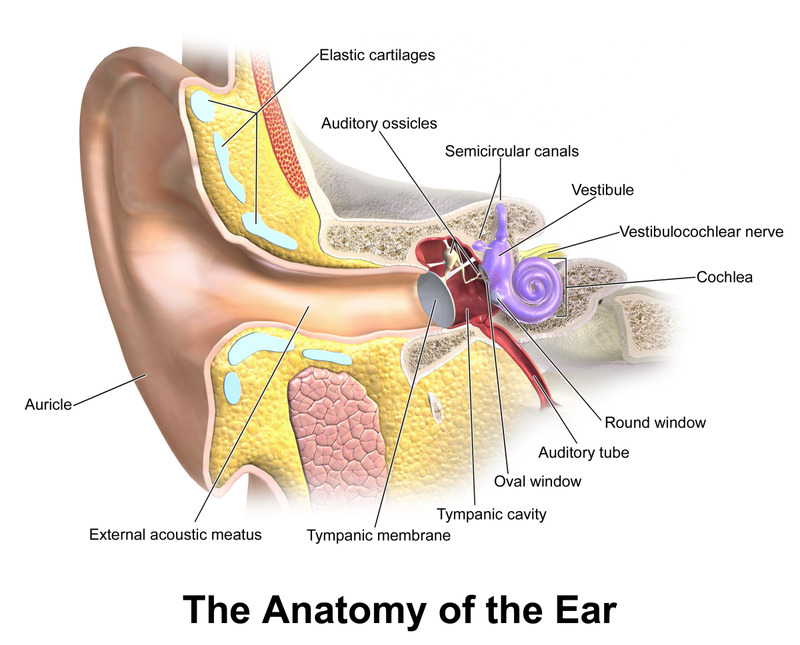 It is custom fitted to the shape of a person's ear and sits on the opening to the ear canal. 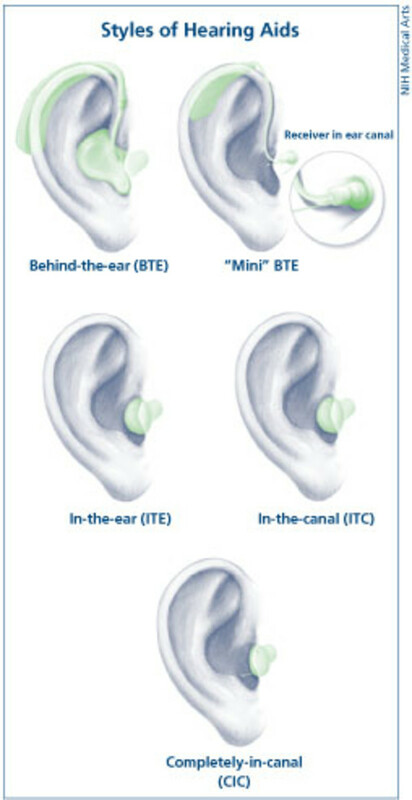 The in-the-canal (ITC) style fits in the lower portion of the ear canal and the completely-in-the-canal (CITC) style is placed more deeply in the ear canal. Both are popular because they are nearly invisible but are less powerful compared to the ITE style. The last is the behind-the-ear (BTE) style. A small case fits behind the ear and the sound is delivered from the hearing aid to the ear canal via a plastic tubing and earmold. Hearing aids either use the analog or digital technology or both. With the analog technology, the entire sound waves are converted to varying electric current and amplify it. While the digital technology converts the sound waves into a numeric code and modifies it using a computer chip to separate background noise from the actual speech. This eliminates the distortion present in analog devices making the hearing of conversations clearer. A cochlear implant is an implanted electronic device that can produce useful hearing sensation by sending electric signals to the cochlea inside the inner ear. Experience and research suggest that it gives a more enhanced hearing of sounds for many deaf users in comparison to the traditional hearing aids. A cochlear implant is comprised of 2 main components: the surgically implanted and the externally worn components. The surgically implanted components include (1) a receiver, which is surgically implanted under the skin behind the ear and contains a magnet, which couples to the magnet in the transmitter worn externally; and (2) an electrode array inserted into the cochlea to provide direct electrical stimulation to remaining nerve fibers. The externally worn components of the device include (1) the microphone, (2) the speech processor that can be worn on the body (pager style) or behind the ear (similar to a hearing aid), and (3) the transmitting coil, a small disk which adheres to the skin behind the ear via a magnet and is connected to the microphone by a small cable. Find out more information on cochlear implants. 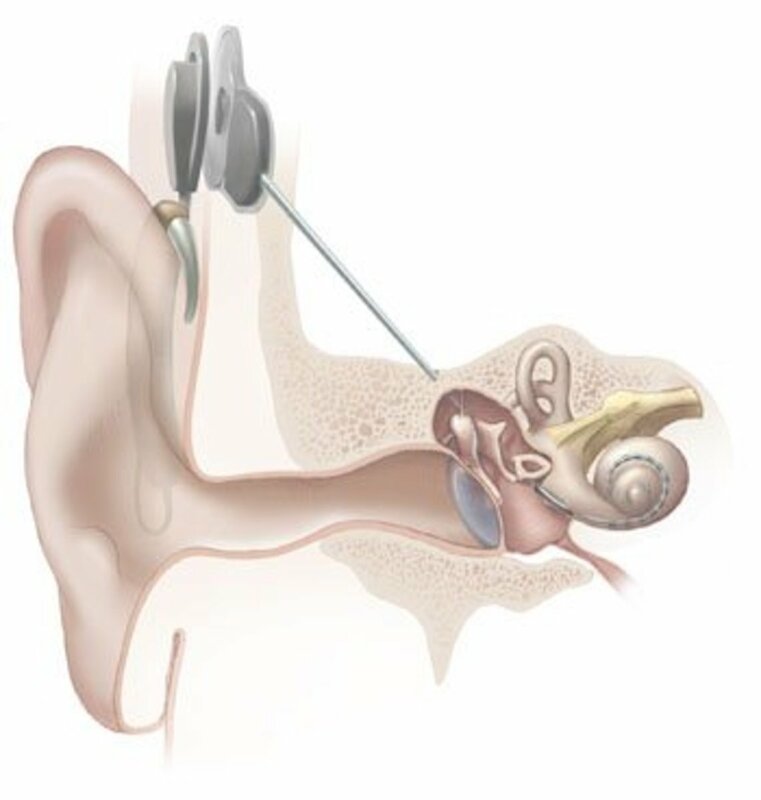 Illustration of cochlear implant from the National Institute on Deafness and Other Communication Disorders at the National Institutes of Health. Alerting devices allow hard of hearing and deaf people to be aware of many environmental sounds and situations in the home, in school or in the workplace. Such devices make use of visual, audible or vibrating signals to alert the user. Examples of these devices are: (1) Lights that flash when a telephone, doorbell, alarm clock or smoke alarm rings. 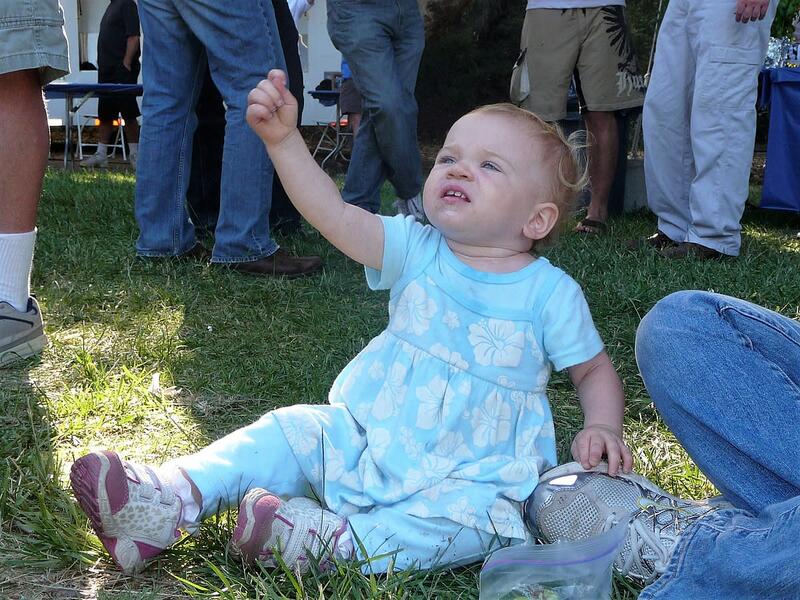 (2) Audible devices like extremely loud sirens or horns that alert people with mild to moderate hearing loss. (3) Vibrating devices like a shaking chair or mattress and vibrating pagers. Hearing dogs, though not technically a device, are used to alert people who are deaf to specific sounds like alarm clocks, doorbells and telephones and to sounds that may warn of danger, such as crying babies and smoke alarms. These hearing dogs begin training between ages 8-16 months and is completed within 3-4 months. At the end of the training, the dog's trainer teaches the new owner how to care for the dog and keep it well-trained. 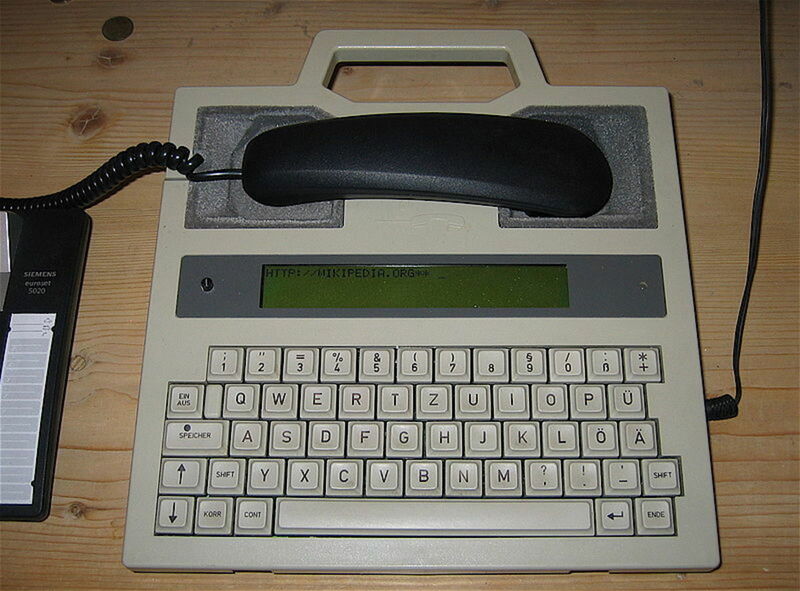 The deaf and hard of hearing can also make and receive phone calls using this special device called Telecommunications Device for the Deaf or TDD. It is connected to a telephone line with a modem allowing it to transmit and receive information over a telephone network. The typical TDD is about the size of a small laptop computer with an alpha-numeric keyboard and a small screen to display the typed text electronically. Using the TDD is somewhat similar to being able to chat with friends via the internet. Both the caller and the person receiving the call must have a TDD unit. The message is typed in at the caller's TDD and typed out at the TDD on the receiving end. Some countries also offer Telephone Relay Services or TRS. This enables a deaf or hard of hearing person using a TRS to communicate with a person using an ordinary telephone. How does TRS work? A person who is deaf or hard of hearing inputs his message in a TDD or teletypewriter (TTY) to initiate a TRS call. Then, a communications assistant (CA) or TRS operator makes a traditional voice call to the called party and reads the message. The called party gives his message while the CA converts the message to text and sends it to the calling party. Now, TRS has gradually expanded to include almost any generic connected device such as a personal computer, laptop, mobile phone, PDA, and many other devices. Closed Captioning is a system developed to display printed captions on a television or video screen to provide additional or interpretive information to viewers. The term "closed" is used to indicate that not all viewers see the captions. 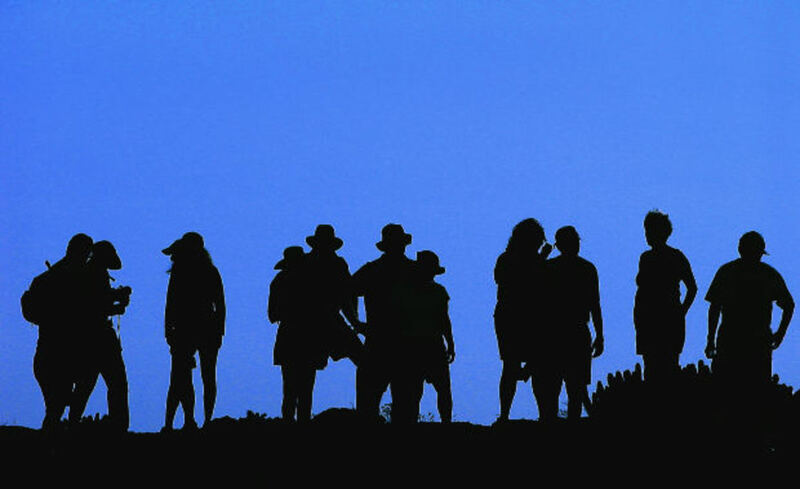 It is available only to those who choose to decode or activate them. "Captions" are printed texts that describe all significant audio content (spoken dialogue), non-speech information such as the identity of speakers and the music or sound effects used in the program. This system offers great help for the hearing impaired to enjoy multimedia like television programs including live programs as seen in the BBC news, in the movies, video games and in online video streaming like You Tube. 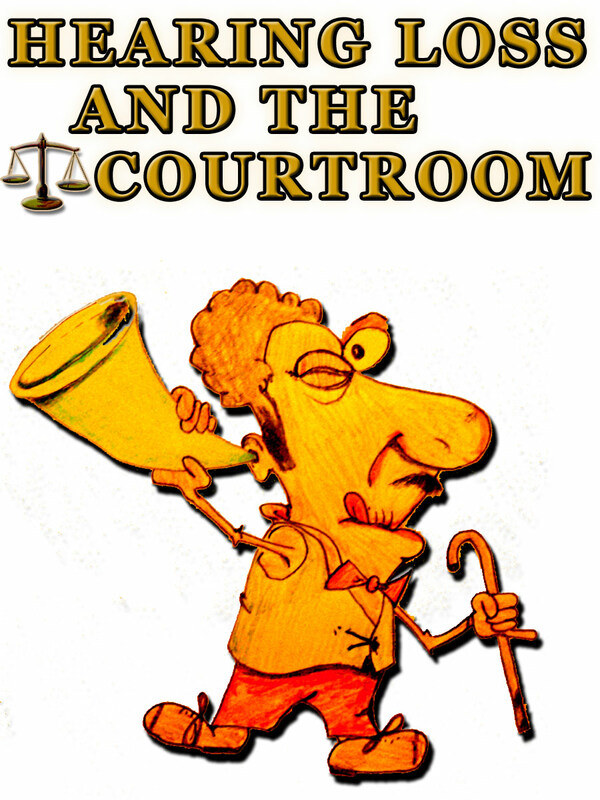 Captions is not distinguished from subtitles except in the United States and Canada. In most countries where this technology is available such as Ireland, the United Kingdom, and other countries around the world, captions is sometimes referred to as "Subtitles for the hard of hearing"
Find out more information on closed captioning. Rhonda, thanks for the follow. I actually appreciate that you have read my hub and took the time to share what you think. Would love to follow you, too. I love your attitude and will follow you. Thank you, Rhonda, for sharing what you know to be the right facts about cochlear implants. I will make the necessary corrections. There are a few inaccuracies in your description of the cochlear implant. I've had a cochlear implant for twelve years and I checked with my audiologist today to make sure of my facts before responding to you. 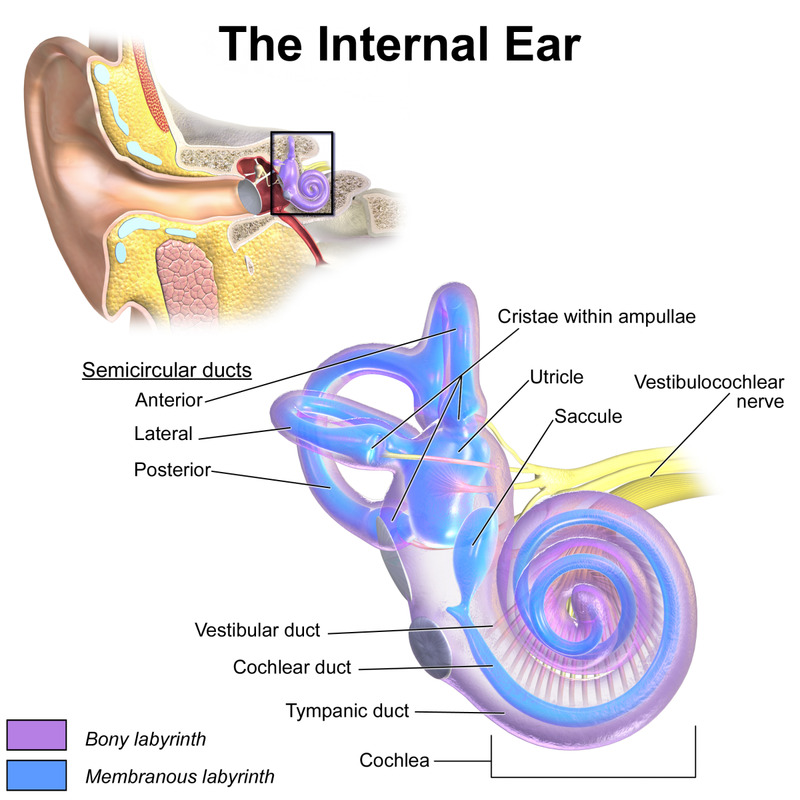 Although the cochlea is a part of the inner ear and is referred to as the auditory nerve, it is quite different from the little hair-like nerves that are stimulated in normal hearing. The cochlear implant bypasses those nerves altogether and sends an electric signal directly to the cochlea. 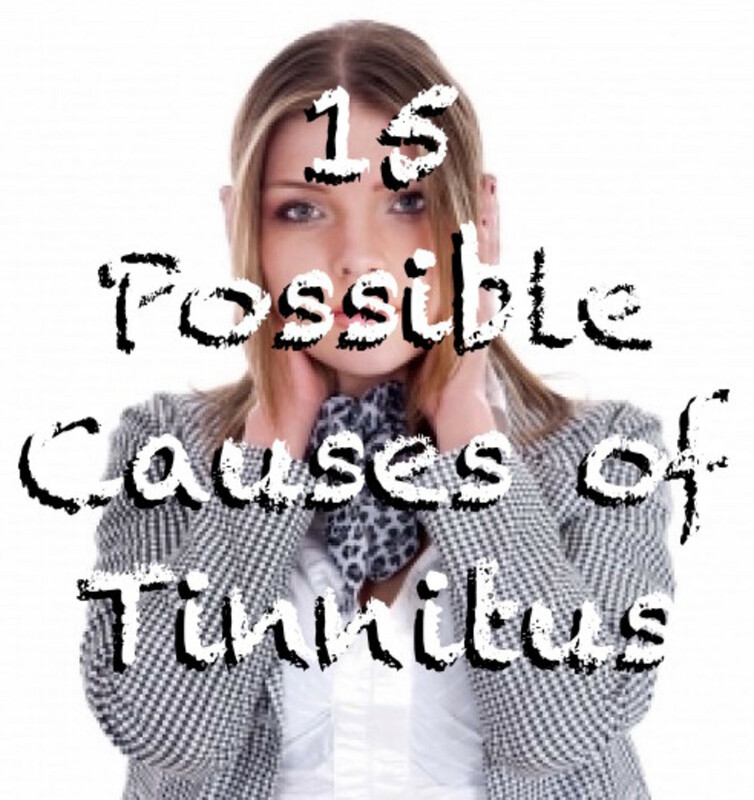 In fact, the surgery destroys any residual hearing the patient might have. For this reason, only people who can no longer benefit from hearing aides (those with severe to profound deafness according to the doctors who performed my surgery. )are considered for implantation. There may be exceptions, but I doubt any reputable doctor would risk destroying the hearing of someone with a moderate hearing loss who might still benefit from hearing aides. The cochlear implant is not something one can just decide to get instead of a hearing aide. Just wanted to share this information. Excellent post, hearing aids can be a great help but they're not for everyone and some people like hearing devices. Great missive. Hearing Impairment is a very lonely experience as thousands of our fellow humans experience dimished hearing annually. Thanks for taking the time to clarify this for us. Nice to know about features of a cell phone that can help the hearing impaired. Thanks Rowena. People who are suffering from hearing loss require a cell phone like Just5 for their security. This phone has amplified sound to assist them in using the phone with ease. It also has PERS features that will allow them to phone for help in as easy as a press of a button. My dad is 80 and is suffering from this problem. He is now using this phone and finds total confidence with this gadget. Check this phone here: www.just5.com.